The significance of this is that as a federal officer, despite being the front man for a privately owned cartel, he can be prosecuted for any violations of the Constitution that he swore to uphold. However, if gold coins should be the basis for a nation’s money supply, how could they have been a bad investment, especially for so long? Previously, I wrote about his claim that gold coins by the U.S. and Canada aren’t real money, despite being legal tender, and his claim that gold is an inflation hedge in the “medium term,” which he arbitrarily defines as up to at least 21 years, in order to justify gold’s embarrassing performance from 1980-2001, which he himself admitted to. On November 8, 2006, Michael “Mish” Shedlock was on Coast to Coast AM with George Noory, to give his economic forecast. He said an inverted yield curve for U.S. treasury bonds (e.g. the 6-month bond had a higher yield than a 10-year bond did), and a decline in housing starts and permits was the best predictor of an impending recession. They have predicted an impending recession every time since 1959. 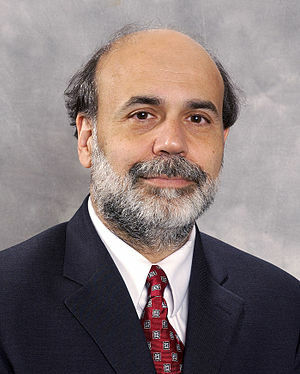 He correctly predicted that the U.S. would be in a recession in 2008. It officially started in December 2007. Americans had a negative savings rate since 2005. By February 2007, Americans had a negative savings rate for 21 consecutive months. He sold a 3-bedroom, 1-bathroom house in Danville, Illinois for $14,000. A friend of his said a comparable house in Washington, D.C. would have sold for around $200k. By 2006, Japan had experienced 18 consecutive years of declining real estate prices. The major Japanese stock exchange index, the Nikkei 225, went from a high of around 40,000 to a low of around 7,000. Specifically, a high of 38,957 on December 29, 1989 to a low of 7,021 on March 10, 2009 — a decline of 82% over nearly 20 years. Japan had a central bank rate of 0.25%, which the U.S. central bank, the Federal Reserve, adopted in December, 2008.